OpenX is focused on unleashing the full economic potential of digital media companies. They do this by making digital advertising markets and technologies that are designed to deliver optimal value to publishers and advertisers on every ad served across all screens. OpenX have built a team that is uniquely experienced in designing and operating high-scale ad marketplaces, and are constantly on the lookout for thoughtful, creative executors who are as fascinated as they are about finding new ways to apply a blend of market design, technical innovation, operational excellence, and empathetic partner service to the frontiers of digital advertising. Supporting over 1200 publishers and 900 premium app publishers in 190 countries, OpenX is truly the power behind the global ad exchange business. As OpenX continued to grow on a global scale, one of the challenges in the rapid expansion to new markets was standardising and maintaining the quality of localised software and marketing collateral. The languages on which we previously focused were French and German, with Japanese a more recent, but rapidly growing requirement. The highly specialised subject matter meant that OpenX needed a language partner who could source linguists with the right technical expertise, but also with the right style for the variety of their requirements. 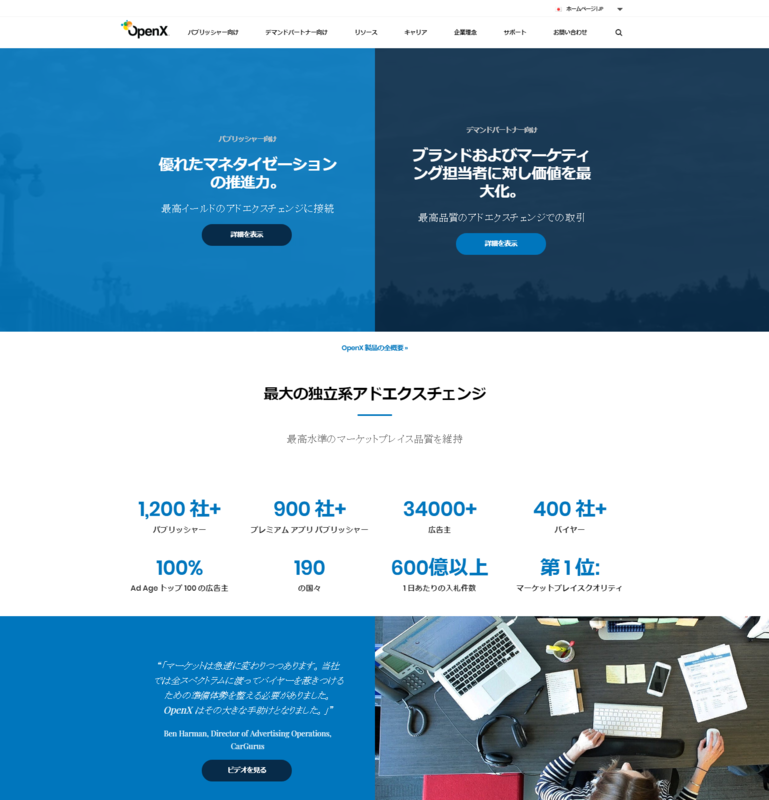 The recent localisation of the corporate website into German and Japanese highlighted the need for a centralised, integrated approach to terminology and translation. OpenX has global regional offices, as well as subject matter experts (SMEs) in many locales, therefore, Capita TI needed to ensure consistency as the primary goal. Capita TI ensured that workflows are in place that maintain the terminology in the localisation environment, assisting linguists on all future translations of updates. The workflows need to be dynamic, as OpenX continues to review terminology and its glossaries on a constant basis. Clarity of the message is another challenge, since the ad exchange subject matter is highly technical and complex. Thanks to the invaluable input of OpenX SMEs, which is centrally stored and distributed to engaged linguists as requirements arise by Capita TI, the team is able to maintain an integrated, constantly developing language support solution. Looking to the future, OpenX and Capita TI are planning to expand the partnership approach, including localised versions of specialised User Experience web content domains that make OpenX bidders’ lives that one step easier. One thing is for sure: there is never a quiet time for either partner!